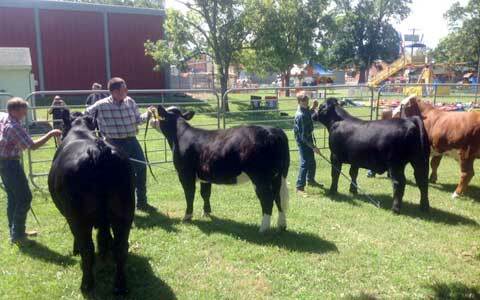 Exhibitors line up some of Osage County’s best cattle during the stockman competition at Sunflower Days 4-H Fair. Dalton Hook, grand champion; buckle sponsored by Sloop Sales and Hook Repair. Jamison Corwine, reserve; buckle sponsored by Hook Farms. 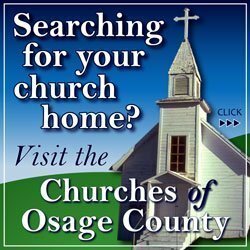 Hailey Gillespie, grand champion; buckle sponsored by Melvern/Ottawa Coop. Ethan Kneisler, reserve champion; buckle sponsored by Melvern/Ottawa Coop. Braelyn McNally, grand champion; buckle sponsored by Litch Farms/Pioneer Seed. Katy Lowry, reserve champion; buckle sponsored by Willow Creek Farm/Jones Family Angus. Brayden Gillespie, grand champion; buckle sponsored by Melvern branch of Lyndon State Bank. 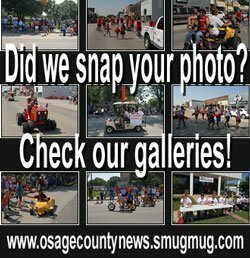 Here are some photos of the fair provided by Frontier Extension District. 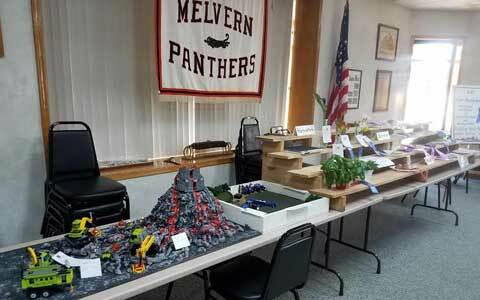 Food and other projects are displayed at Melvern Community Center. 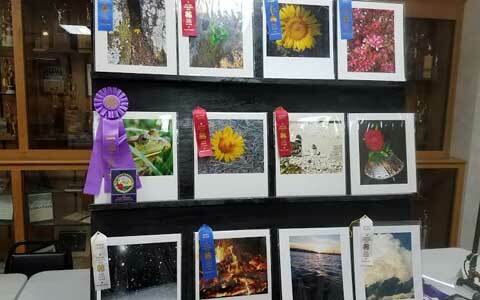 Visions of ribbons attracted many young photographers to the photo exhibition. 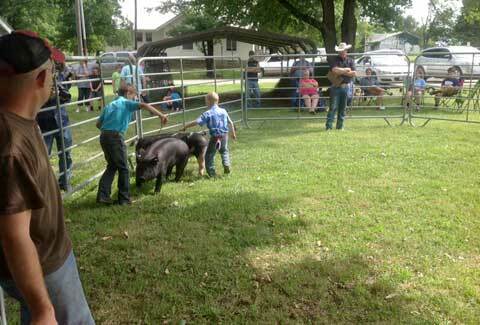 Rambunctious but friendly hogs do their part to train kids to be stockmen. 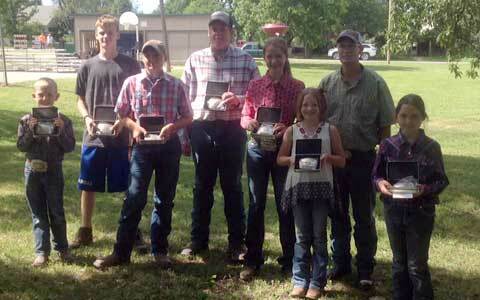 The 2017 stockmen competition buckle winners were, front, from left, Brayden Gillespie, Ethan Kneisler, Braelyn McNally , Katy Lowry, back, Jamison Corwine, Dalton Hook, Hailey Gillespie, and 4-H exhibit coordinator Danny Rice. 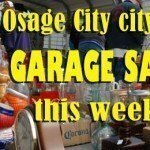 Results compiled by Danny Rice; photos thanks to Frontier Extension District.